Modernize your kitchen and bathroom dicor with this transitional Richelieu pull. Its simple rectangular design is enhanced with ornamental detailing on the square base to provide a stylish look. Classic rectangular pull for kitchen or bathroom cabinets. Beveled edge and tapered feet make it an elegant addition to any room. This classic Richelieu pull will add a touch of elegance to your kitchen or bathroom dicor. Simple lines with interesting detailing on the center handle and ends. Classic metal pull by Richelieu. This pull consists of a squared-tube handle with rounded corners and a square flange at each end. With its elegant arched handle and fluted end, this pull is a true classic that will enhance the dicor of any kitchen or bathroom. 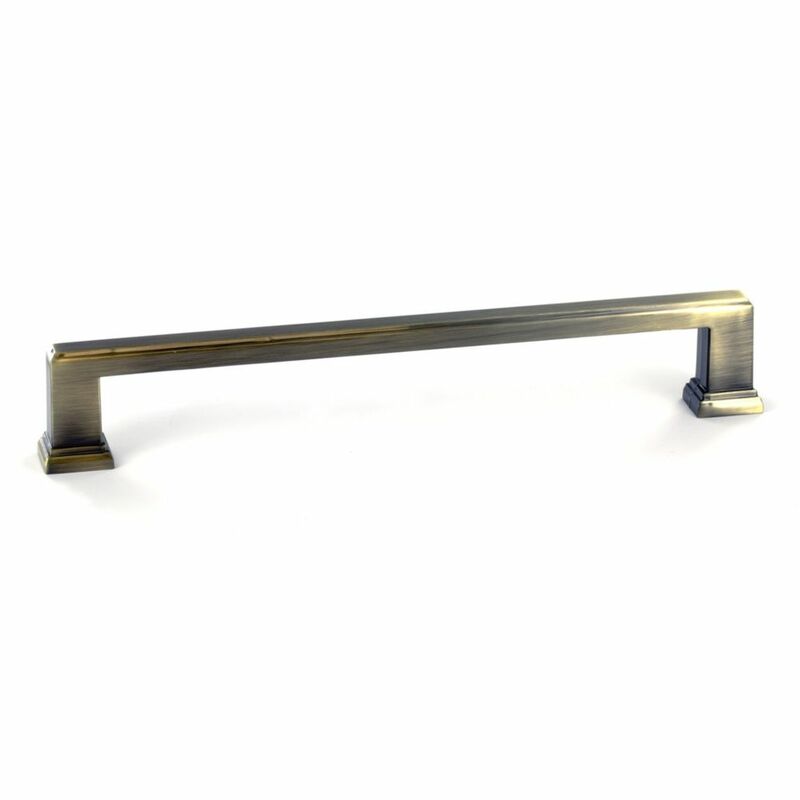 Transitional Metal Pull 7 9/16 in (192 mm) CtoC - Antique English - Mirabel Collection Modernize your kitchen and bathroom dicor with this transitional Richelieu pull. Its simple rectangular design is enhanced with ornamental detailing on the square base to provide a stylish look.